We started the day with a walking tour of Macau’s old quarters. Lucky for us, Sofitel is centrally located, so we only had to walk from the hotel. João from the Macau Government Tourism Office walked us from Ponte 16 through the small streets leading out to the Senado Square. It was surreal — we snaked through small streets with cramped shop houses and emerged in a very European plaza. 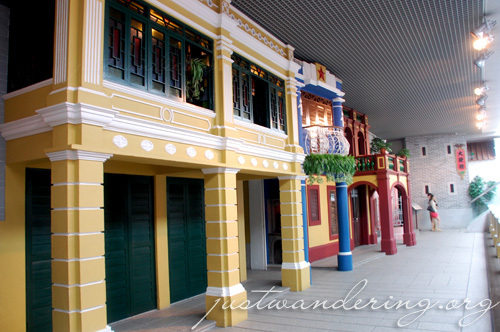 The area is home to many gorgeous heritage buildings that has been adapted for modern use. Almost all of them now house Starbucks or McDonald’s. 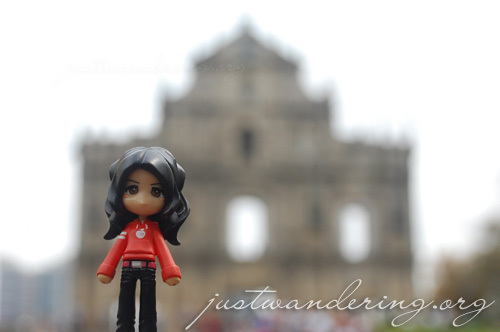 We followed the Portuguese cobblestone path to the Ruins of St. Paul’s. The place is swarming with tourists. We were there at the peak of the touring hour and in the time it took us to walk all the way up, we are certain our backs and behinds are in plenty of cameras. At hill beside St. Paul’s is the Fortaleza de Nossa Senhora do Monte de São Paulo, and old fort that now house the Macau Museum. The museum is a very welcome refuge after the humidity outside. Though small, the Macau Museum was able to space the exhibits in such a way that it’s not too cramped even with all the interesting artifacts and dioramas. From the museum, we drove out to the newly opened Macau Science Centre. The centre houses a planetarium where you can watch a fascinating film about cosmic collisions, and 14 other galleries where you can learn more about the different sciences. It’s actually tailored for kids, but a lot of adults (read: us) find the interactive exhibits a lot of fun. Admission to the exhibit area only is MOP 25, and MOP 35 if it includes admission to the Planetarium show (MOP 45 for 3D). Lunch start late in Macau. We had lunch at the Horizons restaurant at the City of Dreams overlooking the Cotai entertainment strip. 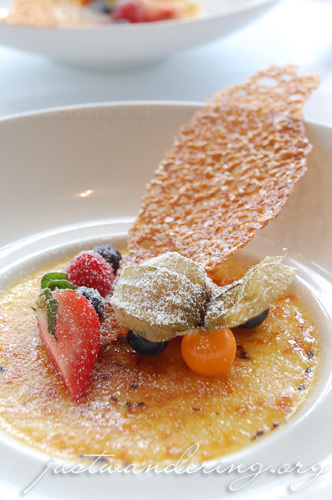 We enjoyed intricately plated meals of salmon, pumpkin soup, USDA Prime beef steak and creme brulee, the table suddenly quiet as we savor each bite. They gave us a tour of their property, including a look at the rooms of the Hard Rock Hotel. We also watch the Dragon’s Treasure show at The Bubble, a free show with screening every 30 minutes. It said chocolate in the menu, but instead we got Creme Brulee. I’m not complaining. We went back to the Sofitel, but it wasn’t time to rest yet. We were given a tour of the hotel’s VIP wing called “The Mansion” where the casino’s high rollers stay. The Mansion has its own lobby and reception, with a personal butler for each suite. Afterwards, we headed to the Michael Jackson Gallery, which is filled with memorabilias of the King of Pop, including the famous white rhinestone glove that MJ wore when he first performed the moonwalk. The gallery is open to all the guests, free of charge. After a quick rest in our rooms, we were back on the road heading towards the light. The lights of the casinos, that is. João told us that in Macau, each hotel has to have something special to entice the guests. It ranges from exhibits to shows to live performances. All free and all of them open to the public. Most of the shows in the hotels with big casinos have luck as a theme. 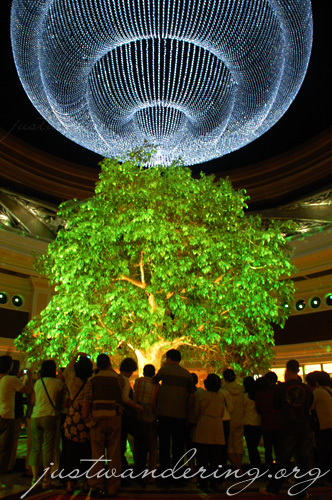 It’s not uncommon to see viewers tossing coins into the Tree of Prosperity at the Wynn before heading to the tables. From the glittering lights of Macau Peninsula, we drove to Taipa, one of the islands that make up Macau. Here, we went to this quaint place called Taipa village, where there’s a promenade overlooking the casino strip in Cotai. Sitting there at the bank of the water, you feel the presence of the casinos, but feel far enough to have some peace and quiet. RELATED: Day 1: Bem-vindo a Macau! 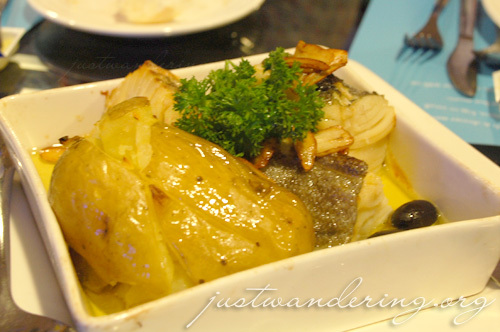 We had dinner at Miramar, a Portuguese restaurant near the Westin resort in Coloane. Apart from the egg tarts, I know nothing about Portuguese cuisine. What we had there was simply fantastic — creamy codfish and shrimp puff, perfectly prepared bacalao, savory herbed chicken and the best leg of lamb ever. I’m not fond of fish but this bacalao is just superb! We were all tried from the full day of touring Macau, but we were also too full from the wonderful dinner. After we were dropped off at the hotel, we went back out for a nice evening stroll to burn off some of the calories before going to bed. We walked down the road back to Senado Square, and while the rest of the group walked further on, Kaoko and I veered off towards the Ruins of St. Paul. While the shops were already closed, the lights of most of the beautiful buildings were still open, as is the cobblestone path. Even at midnight, it felt safe to walk around Macau. St. Paul’s looked even more majectic at night, specially without the crowd. Seems like the best place to take a photo is anytime between midnight and 7am. lovely post nIna! I wanna visit Macau too, with so many deals fr Air Asia. I’ve always wanted to visit Macau. Kelan kaya yun? Hmm.